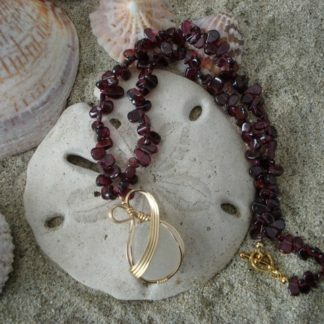 View cart “Mother of Pearl and Brown Sea Glass Pendant Necklace” has been added to your cart. 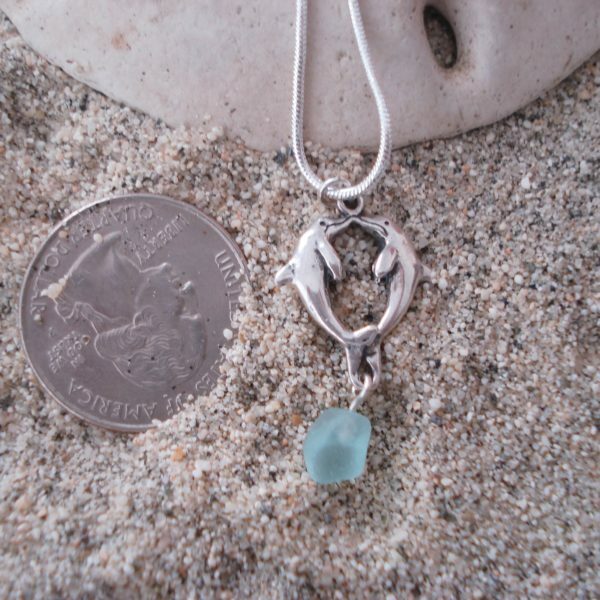 Sweet sterling silver dolphin charm with ice blue sea glass drop necklace. Sterling silver 18″ chain. 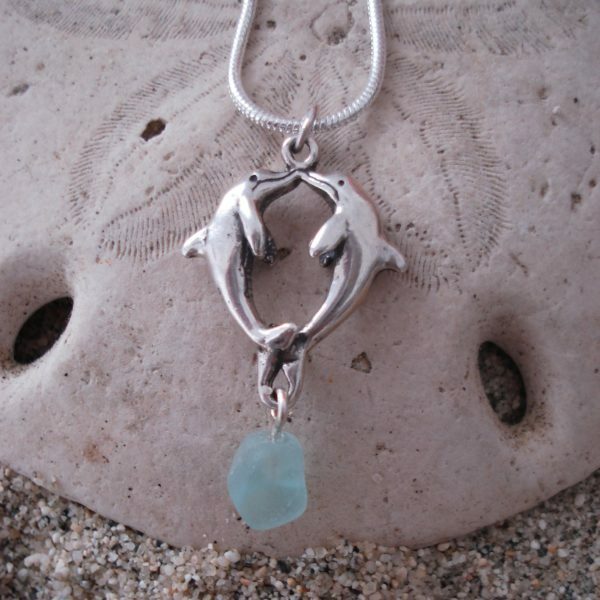 I love these little dolphin charms – so pretty. 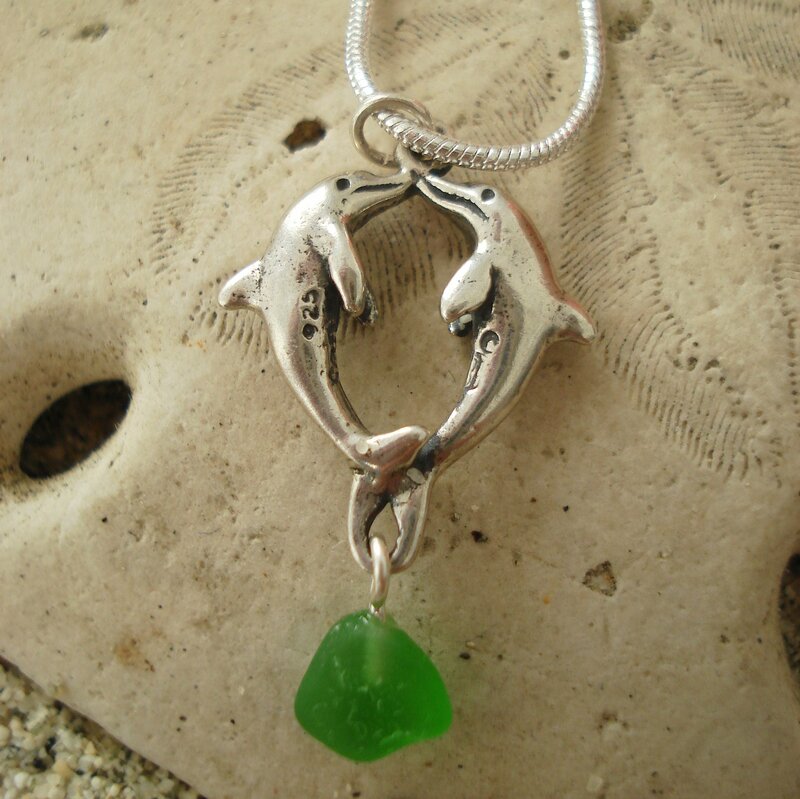 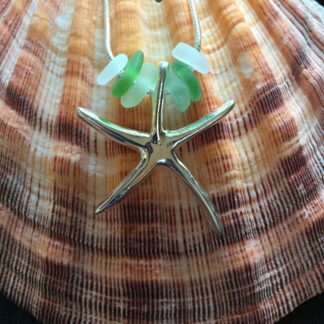 If you love dolphins and sea glass you will love this necklace. 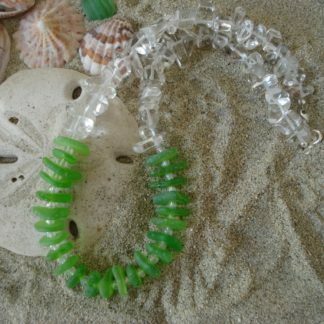 Great as a gift too.